Women are 47 percent more likely to sustain an injury in a car crash because of men-specific safety standards. Photo by Zen Sutherland. According to a new study by the American Journal of Public Health, women are at a greater risk of injury or death in car crashes because of inadequate safety design in motor vehicles. Because women are, on average, shorter, lighter, have different postures and drive newer passenger cars in comparison to men, they are 47 percent more likely to sustain an injury in a car crash while wearing a seatbelt, ABC News reports. The relative higher vulnerability of female drivers when exposed to moderate and serious crashes must be taken into account, the study explains. 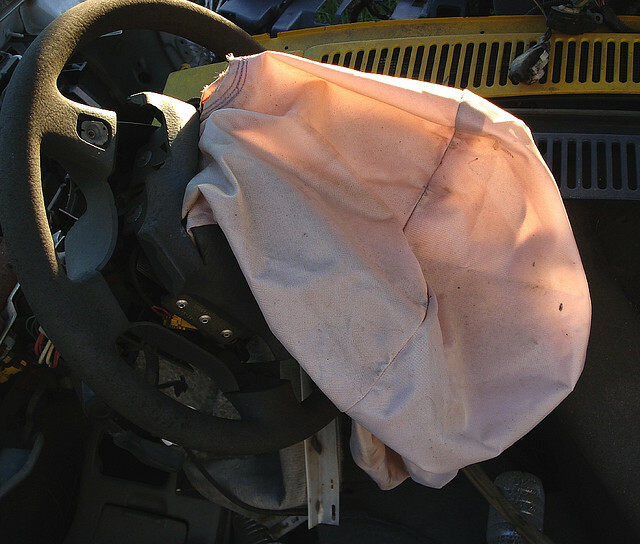 Newer vehicles have dual-depth and dual-stage airbags for drivers and passengers, cars.com explains. A dual-depth system uses weight sensors to place passengers in one of five different weight classes, which varies the size and force of the airbag. Similarly, dual-stage system airbags send signals to the vehicle’s computer providing information on the passenger’s weight and seating position in order to decide whether an airbag should be released at full force, reduced force or not at all. These systems have grown more popular after 2007, cars.com explains. Ditlow further added that the government and the industry have been working on closing the gap on car crash instigated risks between male and female passengers for the last three decades.